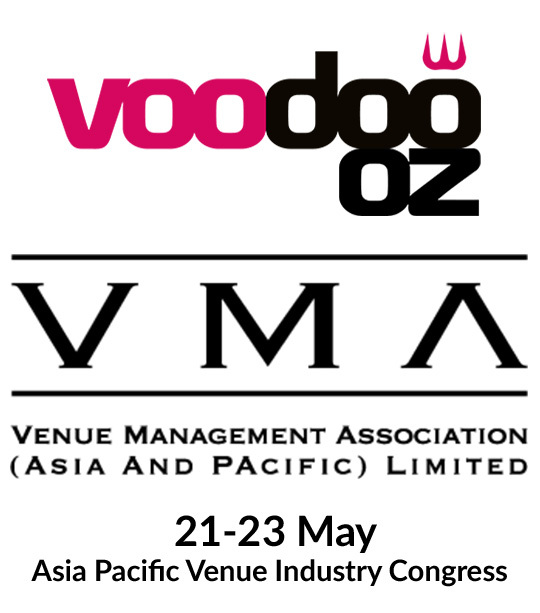 Voodoo Australia is proud to be exhibiting and providing the closing remarks at this years Asia-Pacific Venue Industry Congress. The event is the single largest meeting of Venue Professionals in the Asia-Pacific region. Approximately 350 high-profile venue managers and Industry professionals make it a priority to attend each year. This unique event brings together over 350 delegates from Stadiums, Entertainment Arenas, Convention and Exhibition Centres, Performing Arts Centres, Racecourses, and Showgrounds from across the Asia-Pacific region. It is the commitment of industry partners and suppliers that allow the VMA to offer such a successful and important networking event.